To Connecticut’s east lies a particularly unusual stretch of highway. For starters, it doesn’t really lead anywhere. While most highways connect high-traffic roads or major cities, this highway fails to do so, instead feebly dropping off drivers in quiet, woodsy Salem, deeming the highway nearly useless and largely empty. More unusual, at its termination point, a large stub of road keeps going — cracking pavement gives way to a long and overgrown pathway beginning at the road’s edge. Further down, the path abruptly morphs into two concrete graffiti-ridden overpasses before the path again returns to brambles. But the most unusual thing of all? Its post-mortem price tag – it has cost the state approximately $12.7 million in the past two decades alone for studies and reports on a road not a single car can use. This spot marks the culmination of seven decades of taxpayer funded plans to extend Route 11 from Salem to New London and the final burial spot of $5.2 million taxpayer dollars since 2011. The Route 11 extension has been a political football for politicians and town officials alike since its inception in 1953. Since then, millions in taxpayer dollars have been spent on numerous studies, preliminary engineering and contractual/Department of Transportation (DOT) activities, trying to complete the vision of G. Albert Hill, Connecticut’s State Highway Commissioner in 1953. Hill’s vision was declared dead in 1993 — then again in 2010 — but that didn’t stop the Malloy administration from once again trying to revive the highway as a tolled road. 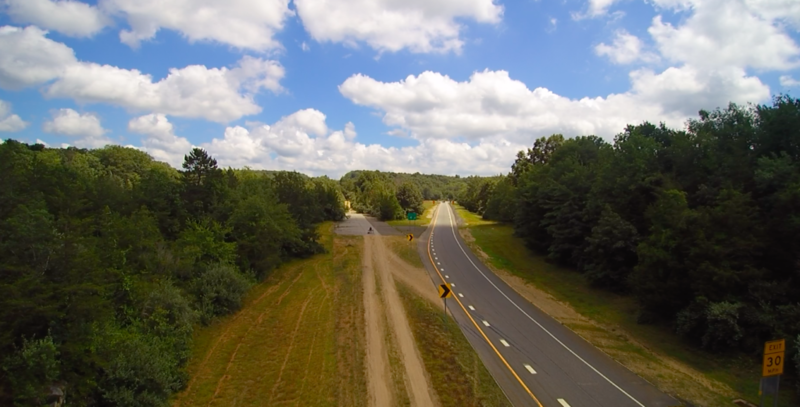 Today, Route 11 is somewhat famous for being a “road to nowhere.” From the air, the remnants of the incomplete highway look like something out of an apocalyptic film – the overgrown path cutting into a seemingly endless supply of Connecticut forest. In 1953, Route 11 was first mapped as a connection between Hartford and New London, with the intent of better connecting the heavily populated Southeast part of the state with its capital city — a consequence of Connecticut’s growing population. At the time, the project was part of a more extensive $400 million road plan, which included numerous other projects across the state. Today, the cost to build the remaining 8-mile extension alone is estimated at somewhere between $1.2 and $1.5 billion— a testament to not only seven decades of inflation, but the cost of building anything in Connecticut, which has some of the highest transportation costs in the country. The Route 11 extension has been pushed and pulled by governors and legislatures alike, but back in the 1950’s the General Assembly supported the project, moving it forward to the State Highway Commissioner. In 1958, plans were published, and the road that would become Route 11 made its debut to the world. Construction began in 1963, and Route 11 officially opened in 1972. But it remained incomplete — connecting Hartford to Salem, rather than New London as intended. The state suspended the project due to lack of funds at the time but intended to complete the remaining 8 miles of highway when the money became available. In 1975, plans were made to complete the road, with completion spanning 4 projects. Once again, these plans fell through due to lack of funding. Later, in the 1980s, different plans were made to finish the road, with the project estimated to cost approximately $350 million. Despite the new plans for completion, the project was given its first death notice in 1993. The DOT deemed the Route 11 extension as “infeasible” due to environmental concerns, as well as lack of funding. But as Southeast Connecticut grew in size and importance, the extension plans were revived. In 1997, a Major Investment Study was conducted, as well as plans for an Environmental Impact Statement. Two years later an Environmental Impact Statement Executive Summary was published. Due to environmental concerns stemming from the initial Route 11 plan, more than a dozen alternatives were examined, including re-examination of alternatives previously deemed infeasible. A new plan to divert the road away from an environmentally sensitive area was endorsed by the Southeastern Connecticut Council of Governments in 2001. Following the terrorist attacks on 9/11, Connecticut feared several strategic locations in Southeastern Connecticut could become targets for further attacks, such as the Coast Guard Academy and Naval Submarine base. These fears sparked a renewed wave of interest in finishing Route 11, given its key role as an evacuation route. The state, at the time, recommended residents of New London use Route 85 to get to Route 11 and travel to shelters in East Hartford if there was an emergency — a non-ideal route, given Route 85’s two-lane width and history of accidents. 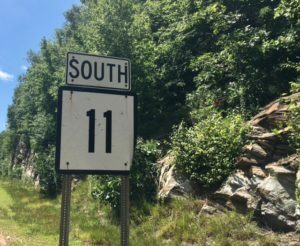 State officials wanted to use Federal Homeland Security funds to finish Route 11. This plan, as circumstance would have it, proved too good to be true, and was never implemented. In early 2002, the newest DOT plan was published, with a cost estimate of $410 million. A new federal task force, initiated by President George W. Bush, was implemented to help high-priority transportation projects across the country reach completion, and Route 11 was given strong consideration. In 2003, the federal government agreed to pay $3 million towards planning and engineering for Route 11, before the Environmental Protection Agency was finished with a study of its own. From 2003 onward, Route 11’s history is filled with endorsements, planning, studies and early attempts at land acquisition and funding. Residents made certain to voice their opinions on the fate of the road. In 2007 another resident took a different opinion, supporting completion of Route 11 from a safety standpoint, referring to Route 85 as a “deathtrap” in an op-ed to the Hartford Courant. Although this was the second time the road was given a certificate of death, Governor Malloy supported completion of Route 11 a year later, at a cost of over $1 billion. The DOT, per Malloy’s instruction, initiated “corridor-wide environmental studies, design engineering services and a preliminary traffic and tolling/revenue study.” The cost of building the road would be funded through tolls. Beginning in 2011, Connecticut spent $5.8 million for “environmental studies, tolling studies, preliminary engineering, [including] consultant contractual activities and DOT activities,” according to the DOT. 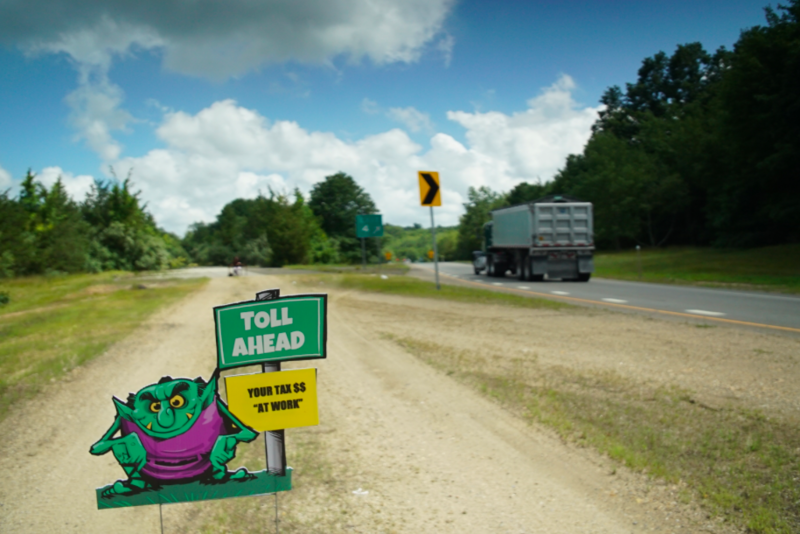 In 2012, the Connecticut General Assembly passed a bill authorizing the DOT to implement tolls on the still-unfinished part of Route 11, and then remove the tolls after they paid off the cost of the road. But in 2016, Route 11 received the final nail in its coffin — the Federal Highway Administration ceased its support. They blamed a lack of “key information [such as] a financial plan, engineering and operational analysis and other elements” from the Connecticut DOT. Despite decades of studies, and nearly $6 million in new spending, Connecticut ultimately could not produce the necessary documentation for the federal government . Also considered in this decision was the potential upset of historical Native American and colonial archaeological sites. However, Connecticut DOT cites a lack of funds as the most significant reason for the loss of federal support. Although Route 11 is particularly legendary within the state, it is not the only tragedy of its kind. There are several examples scattered across the state of unused pavements, unfinished exits, and in one case, a half-dead stack interchange across I-84. Today, Connecticut still struggles to fund all its transportation projects as its ambitions exceed its budget. Governor Malloy and other lawmakers support electronic tolls along all Connecticut’s major highways to bridge this gap, but as Connecticut residents are called to pay yet another tax to debt-driven Connecticut, one must wonder if this money is really being put to good use. Benson, Judy. “Route 11 Project given a Death Notice.” The Day, 19 Oct. 2016, www.theday.com/article/20161018/NWS01/161019218. Reitz, Stephanie. Road Projects Deserve Local Input. Hartford Courant, 16 Dec. 2002, courant.newspapers.com/image/256932716/?terms=Route%2B11. McKay, Molly. Abandon Route 11; Save $1 Billion. Hartford Courant, 13 Feb. 2005, courant.newspapers.com/image/243670132/?terms=Route%2B11. Banning, Susan. “Finish Route 11 for Safety’s Sake.” Hartford Courant, 16 Aug. 2007, courant.newspapers.com/image/244040885/?terms=Route%2B11. Keating, Christopher. “Malloy: Time to Finish Route 11.” Tribunedigital-Thecourant, 23 May 2011, articles.courant.com/2011-05-23/news/hc-malloy-route11-0524-20110523_1_malloy-route-11-simmons.